The Magione racetrack is definitely the home of driving and engines enthusiasts in central Italy. The track is located near Perugia and Lake Trasimeno in a pleasant environment from the point of view of the landscape. Magione is a medium-small circuit but with its 2507 meters of development provides a wide range of types of curves and therefore it is certainly considered a technical circuit on which it is possible to drive our single-seater cars, such as the fast Puresport F1, Formula 3 and Formula 2000, or the prestigious GranTurismo Ferrari, Porsche and Lamborghini: adrenaline and fun at its pure state! 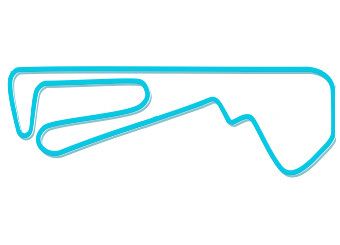 After having crossed the starting straight line, the curve of the Trellis is first tackled, it is a long hairpin bend on the right from the second which seems to never end, third, fourth and then decisive braking and two gears climbed for the old box hairpin. Acceleration, third then left and then right for entry and hairpin that you travel in first gear. Small stretch and second gear to face the curve of the wall that leads to the long straight opposite the box. With the F3 you pass the 220 km / h to go down again to about 130 km / h for the curve that is faced in third gear keeping it until the curve Monte Sperello where it triggers the second that will serve for the final part of the track. Here is a game of balance to optimize the numerous changes of direction without ever penalizing the speed of travel and bring a good exit speed on the straight of the finish line. So Magione offers a good mix of short-rope curves and long-rope bends, a double fast corner to be connected and a series of changes of direction where the ideal trajectory does not exist, but only the best compromise. A technical gym to enjoy lap after lap.